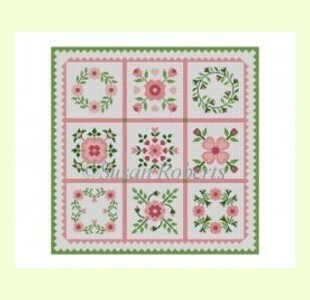 Rose-Quilt-SamplerW is a needlepoint design. The hand painted pattern is 14x14 Susan Roberts, is placed on a #18 canvas, and is available with or without Paternayan Persian yarn. Country Decor Needlepoint - Quilts etc.